Hall, Michael. 2015. Red: A Crayon’s Story. New York: HarperCollins. 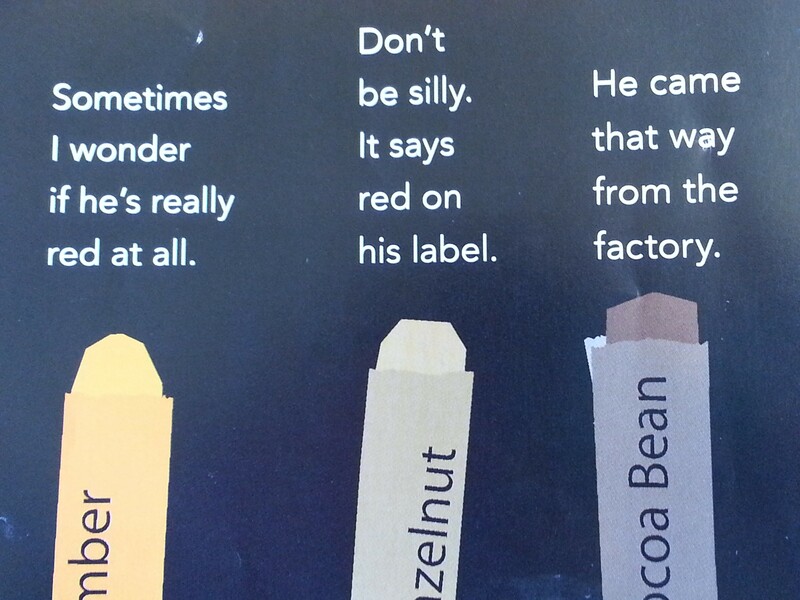 In this engaging picture book, a red crayon can’t seem to color right. Every time he tries to draw a red strawberry, it comes out blue! His teachers, friends, and family try to help him be red—that’s what his label says, so it must be true—but nothing seems to work. One day, a new friend asks him to draw an ocean for a boat, and he realizes that he’s actually blue. Once he tells everybody, they all agree that his blue drawings are wonderful. This story is, of course, an allegory for transgender children who were “labeled” a certain way at birth. The accessible language and colorful illustrations will appeal to any children ages 3-5 who have ever felt that they didn’t quite fit expectations. Red: A Crayon’s Story received a Booklist Starred Review and appeared on the 2016 Rainbow List. This entry was posted in Fiction and tagged Coming Out, Elementary School Audience, LCSH Identity—Fiction, Preschool Audience, Transgender, Transitioning. Bookmark the permalink.